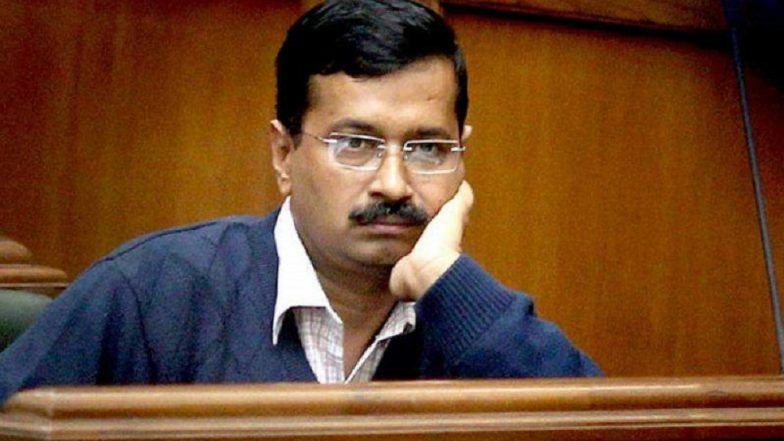 Patna, January 18: A court in Madhya Pradesh on Friday allowed to lodge an FIR against Delhi chief minister Arvind Kejriwal and Aam Aadmi Party (AAP) workers for allegedly disrespecting the national flag. The permission to launch FIRs against Kejriwal and AAP workers was given by a court in Sagar district. Separate cases will be registered in Sagar, Bina, Khurai and Delhi, the court ordered, as reported by news agency ANI. The court's direction came on a petition of advocate Rajendra Mishra who said that the AAP workers during election campaigning across the country for the 2014 Lok Sabha elections carried their party's symbol Jhaadu (broom) along with the national flag. AAP workers swept the floor with a broom and later wave with it along with the tricolour, which amounts to disrespect, he alleged. Narendra Modi-Amit Shah Biggest Threat to Country, Says Arvind Kejriwal. The court of Judicial Magistrate First Class (JMFC) RK Devalia at Bina town had earlier ordered to register a case against Kejriwal, Rajmohan Gandhi, Ashutosh, Shazia Ilmi, AAP Sagar Lok Sabha seat nominee Atul Mishra, party workers Gita Patel, Jagpreet Singh Bhogal, Kshitij Jain, Malkhan Parihar and Shikhar Agrawal.